Sterling Silver decorative headpins, 2 inch, 22 gauge, with ball charm. 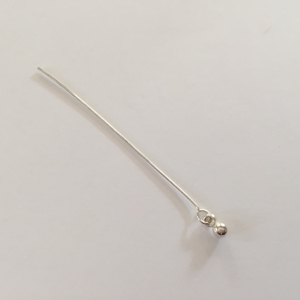 Instead of a traditional head, these end in a loop with a 3mm ball charm hanging from the loop. They make very cool earrings and in addition, they can be used to make bails for small pendants.